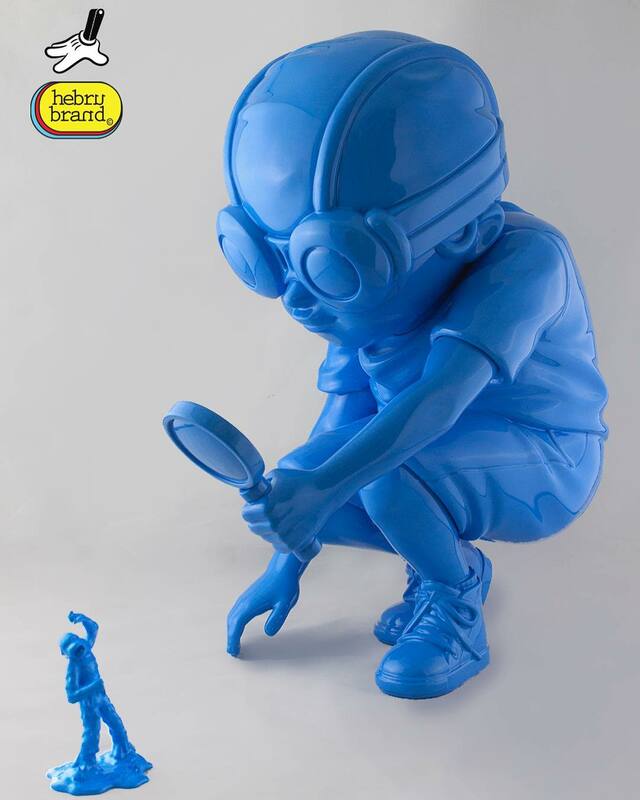 At Designer Con 2017 this weekend Silent Stage Gallery will be releasing the second colorway of Hebru Brantley’s epic Fry Flyboy large format resin sculpture. This Designer Con exclusive edition is all blue and is limited to just 25 pieces. This insane piece stands 16” tall and can be purchased at the Silent Stage Gallery DCon booth #820 this weekend in Pasadena.